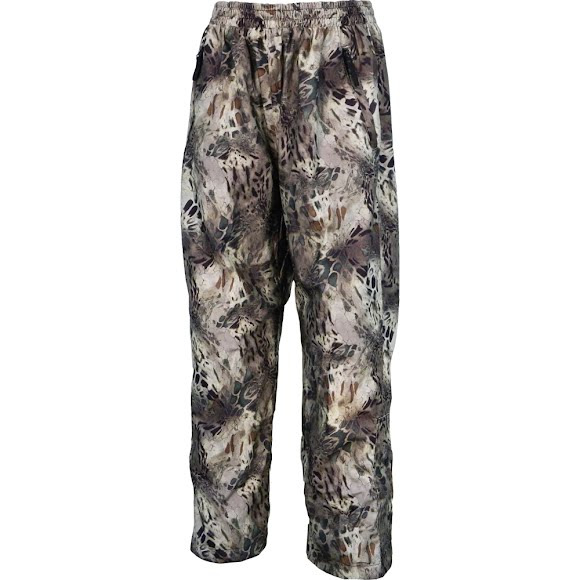 Waterproof, breathable protection from World Famous will keep you quiet, dry, and comfortable on the stalk. Convenient slash pockets store your gear while 2 way leg zippers allow easy ventilation and access to boots or gaiters. Sand Storm - Whether in arid environments of Africa or in a duck field in Arkansas, this pattern helps you blend with nature. The multi-purpose pattern that works in the stand or on the ground. The most versatile hybrid pattern available today. I love the Prym1 Camo patterns!Very glad I purchased the rain suit.Very good quality,and construction.